Last week Jive announced that the Winter 2014 Releases are now available for Jive and Jivex. Here is a brief summary of all the new features. Want to get quarterly updates right when they are released? That’s not a problem anymore. 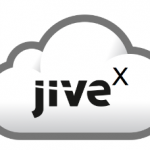 Jivex for external communities is now available in the Cloud. The new release introduces a Jivex CRM Connector that enables you to easily link up discussions and cases to your CRM system. This makes sure your customers always receive answers to their questions. To provide a better overview of what’s happening on your different channels, Facebook conversations, Twitter and RSS are now offered right in-line. The Jivex upgrade allows bi-directional connection with your Facebook fan page and Twitter, while also automatically inserting posts and RSS feeds. Enhanced search capabilities have also been implemented: now it’s possible to highlight answers in search results, and admins can give users the ability to mark content as official or outdated. And that’s not all. If you run a Jivex external community, you’re just going to love additional new features like redesigned profiles, optimized SEO, personal analytics, advanced gamification and segment campaign planning. Following up on the release of Jive 7, substantial optimizations have now been made for internal communities as well. Jive has finally improved the quality of their translations within Activity Streams and the Inbox. This was necessary because the translations were sometimes very confusing and unnatural. Jive also recognized that more and more customers are moving to Jive Cloud and have concerns about security. This prompted Jive to make encryption at rest available. In addition, Jive has now optimized the performance of Producteev, which was introduced as beta in the Fall 2013 Release to replace traditional tasks. Producteev now provides task filtering (“active and completed” & “Tasks I’m following”) as well as many more new features and enhancements. Last but not least, Jive has also rolled out a Universal iOS app upgrade, desktop notifications and Jive + Box improvements to make working within Jive easier and more productive. You can learn more about the Winter 2014 Releases at the Jive Community.